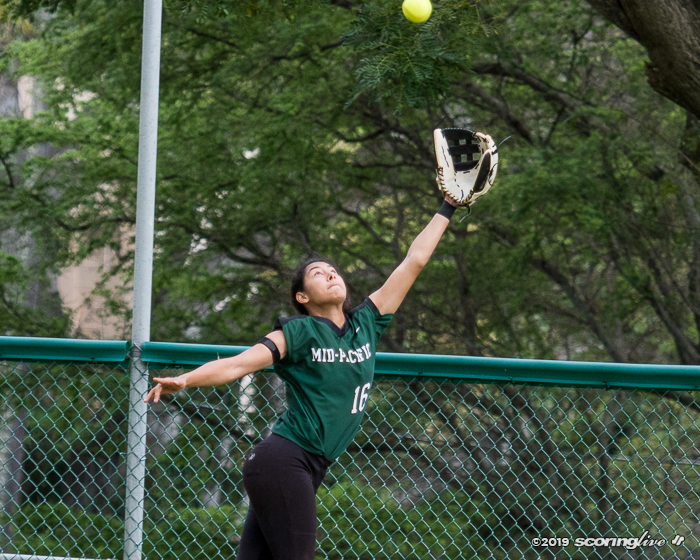 On a cloudy Wednesday afternoon in Manoa, the Mid-Pacific softball team played better the closer it got to nightfall. 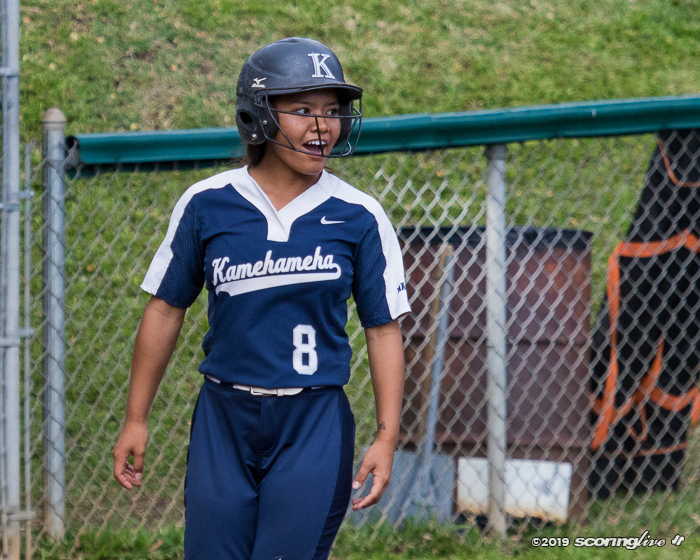 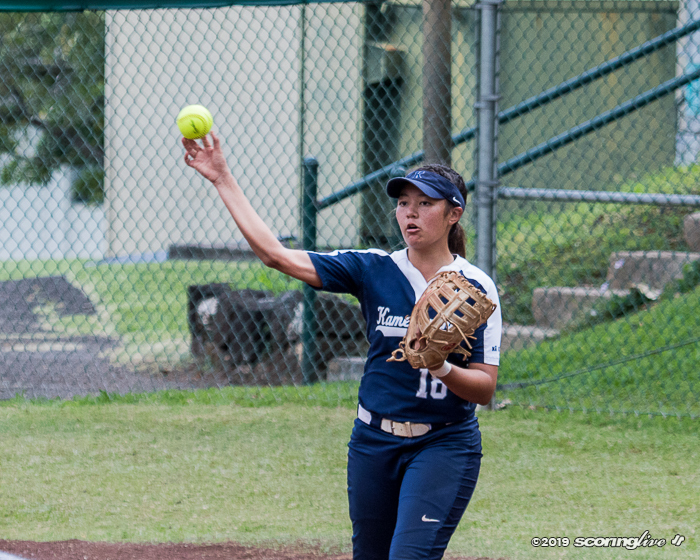 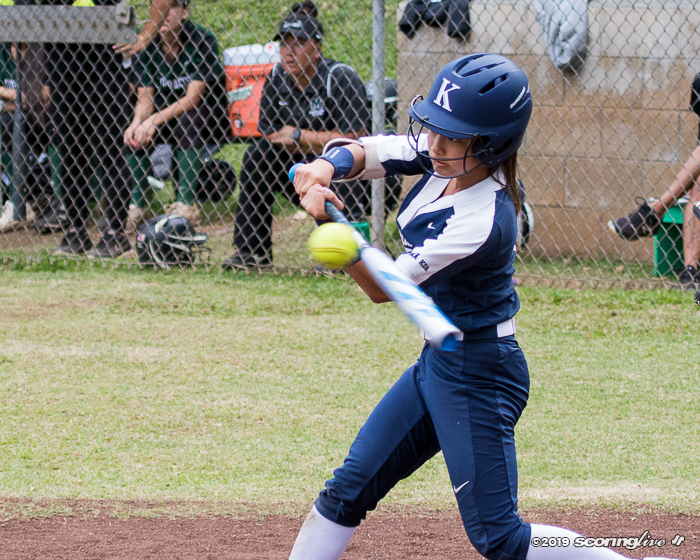 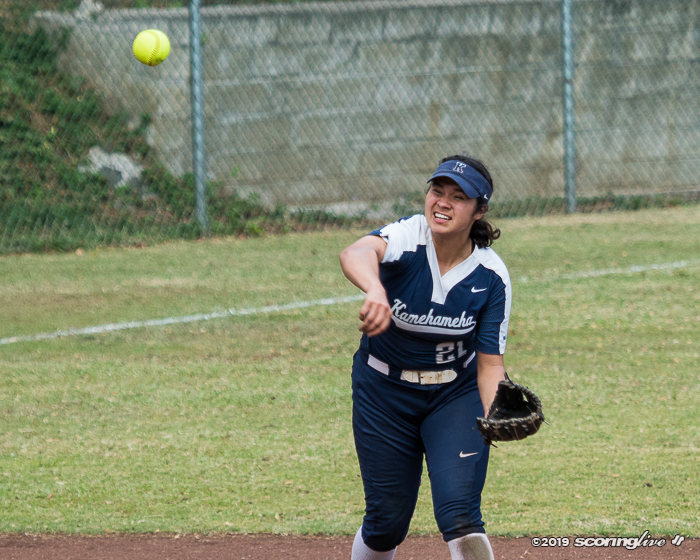 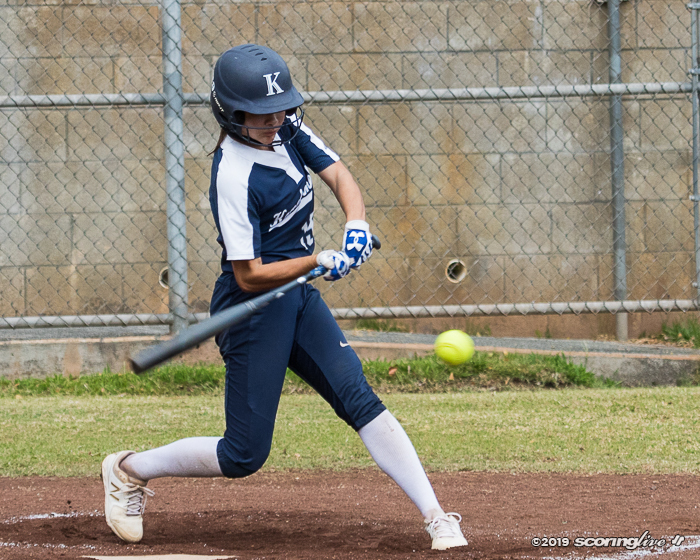 The Owls hit four home runs and four doubles to rally from a 10-3 third-inning deficit in their 13-11 win over visiting Kamehameha in an Interscholastic League of Honolulu contest. 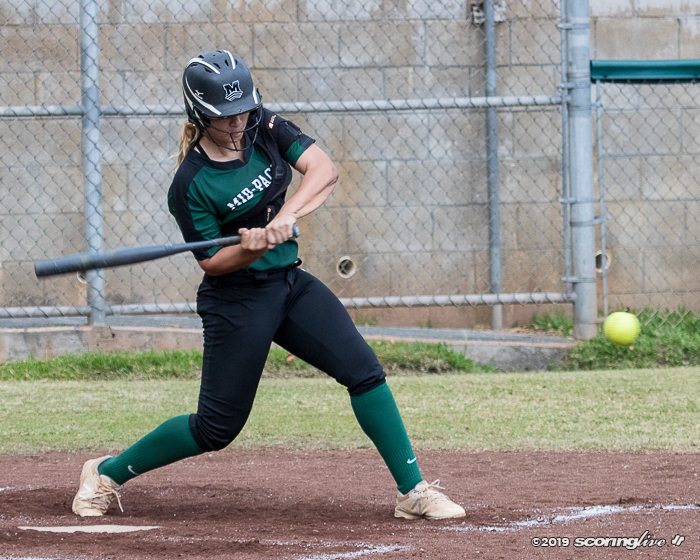 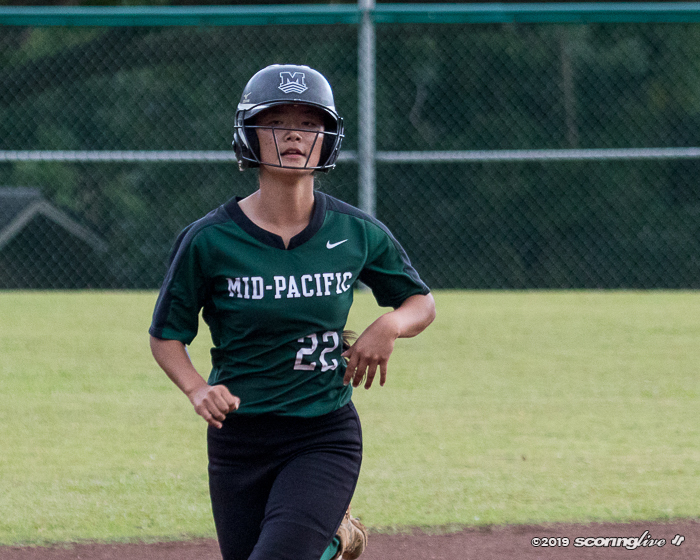 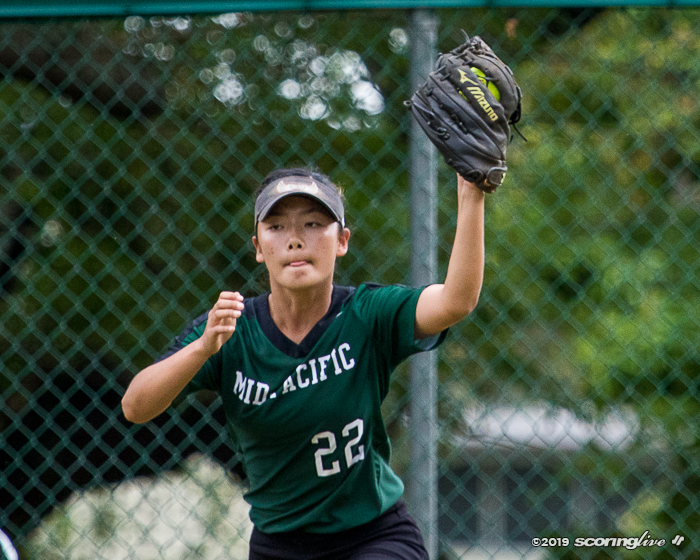 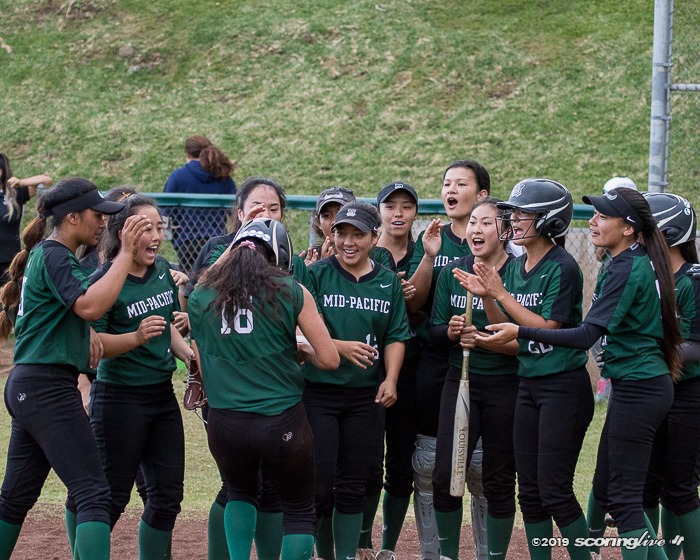 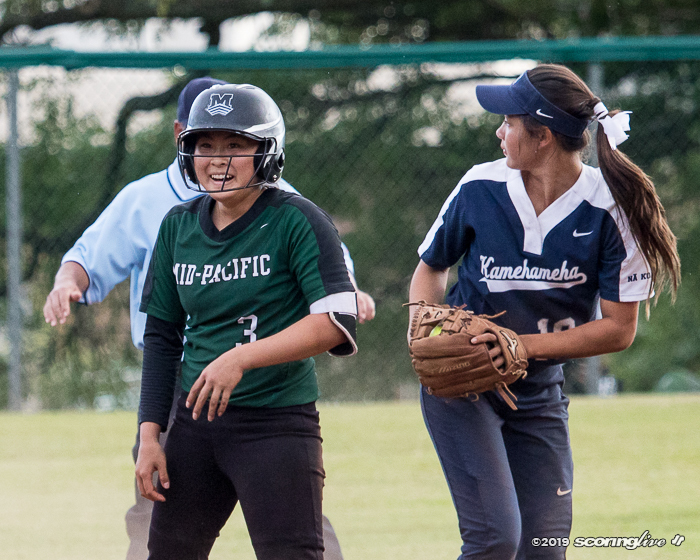 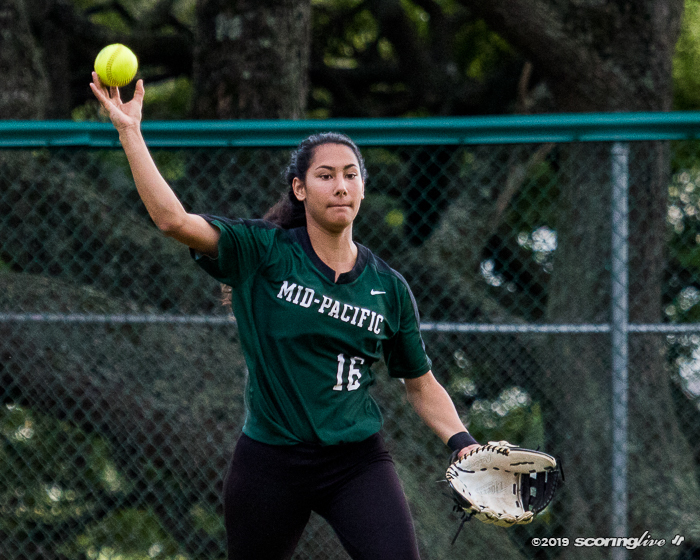 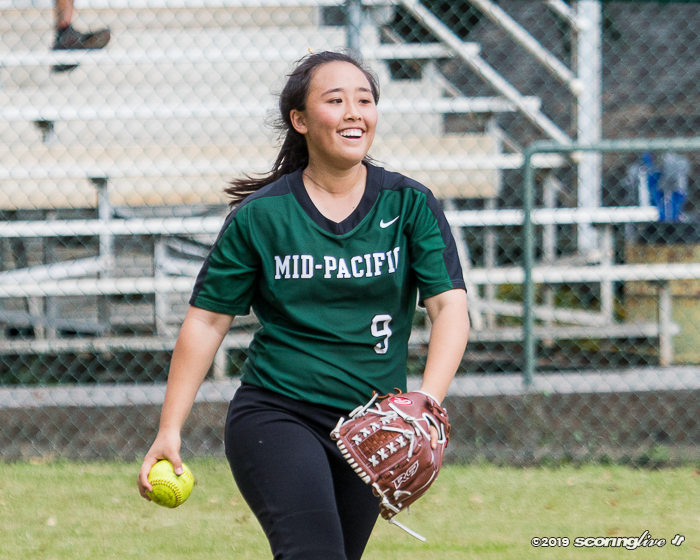 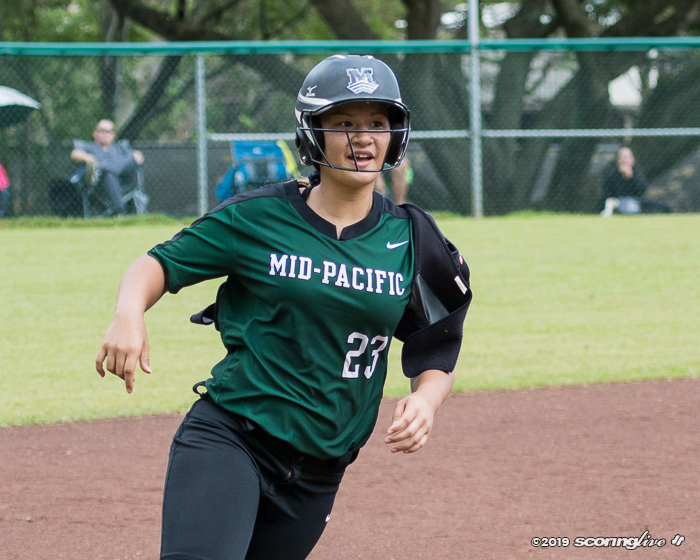 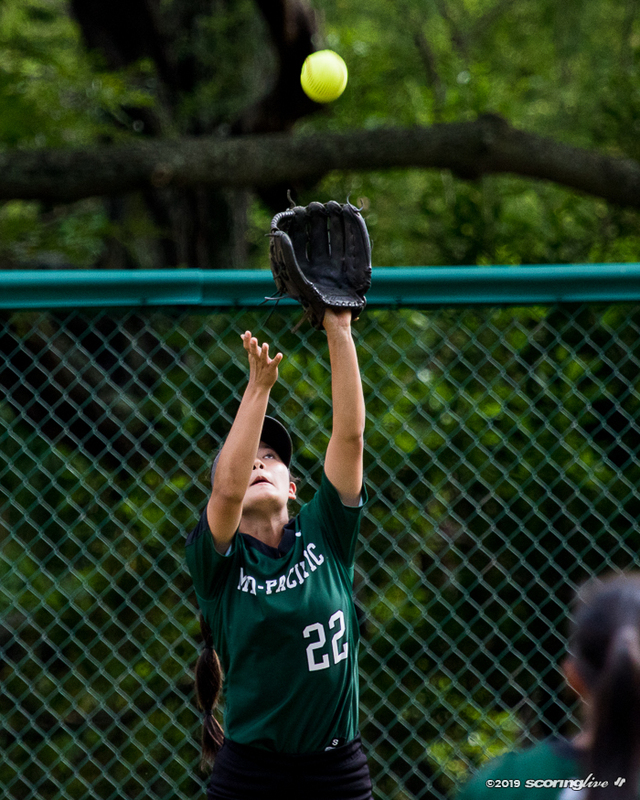 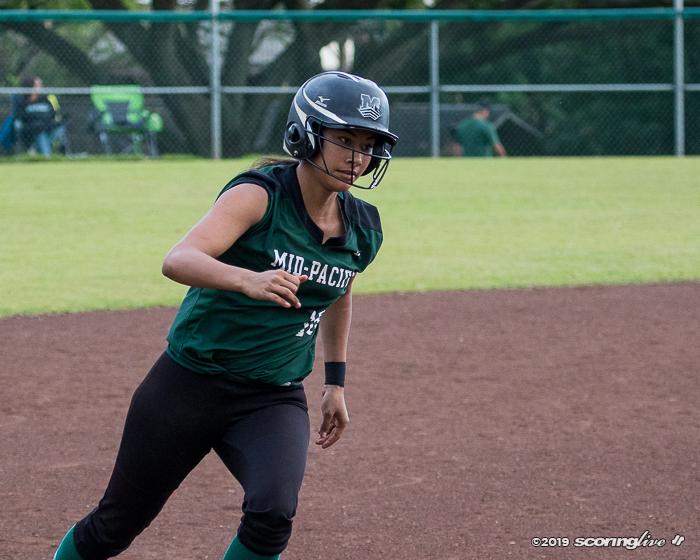 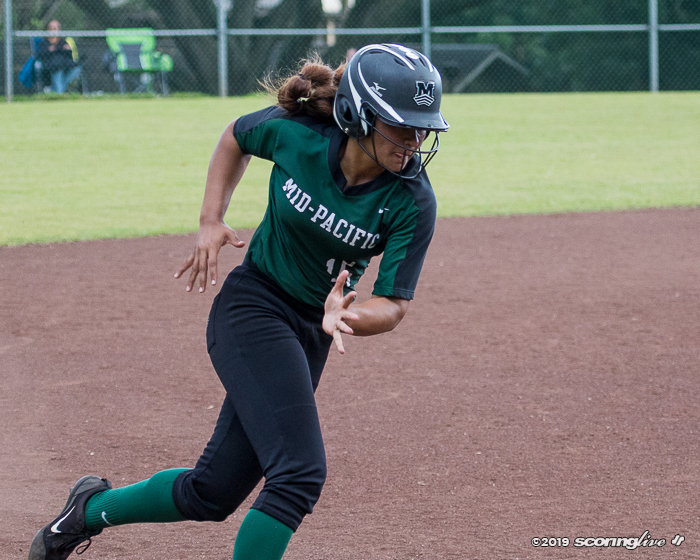 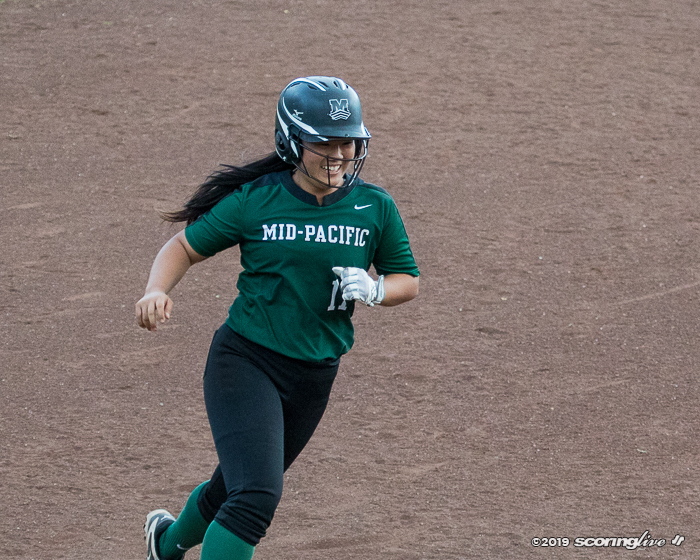 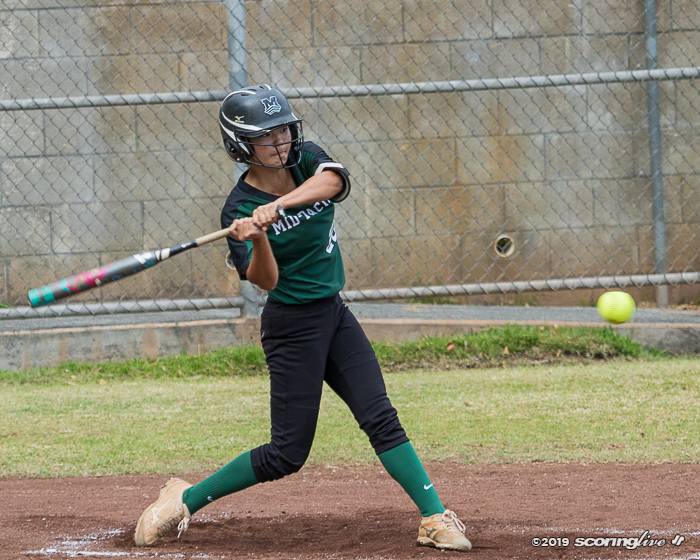 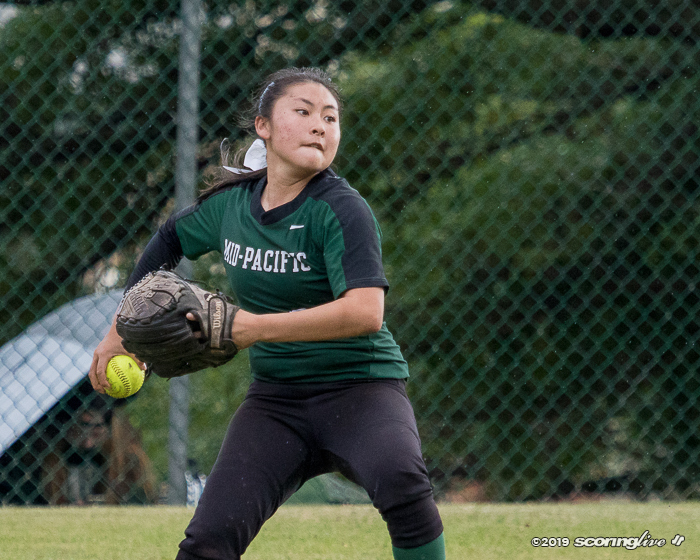 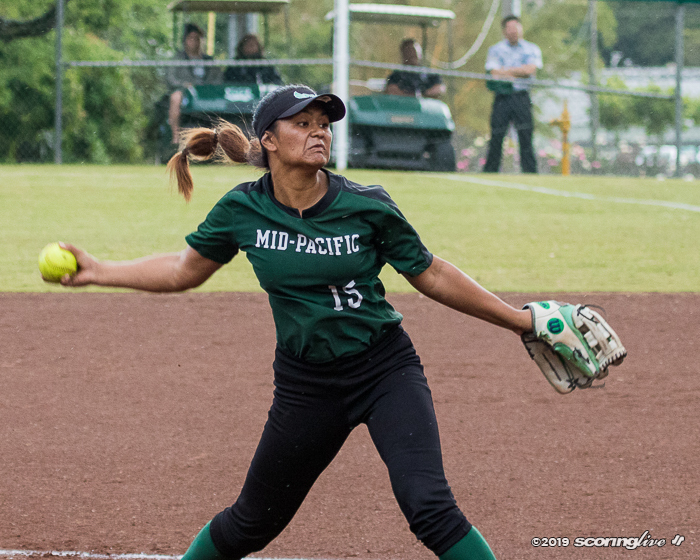 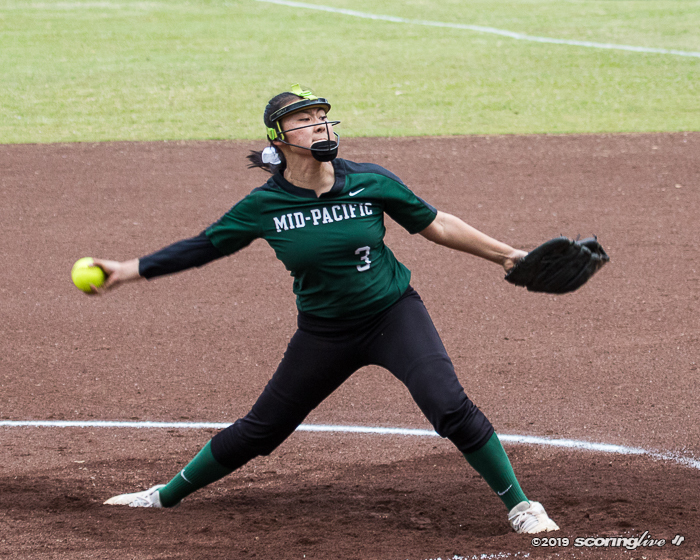 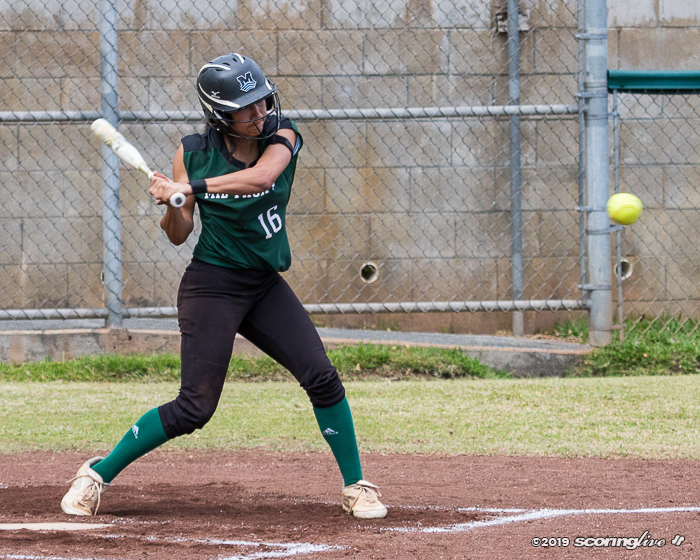 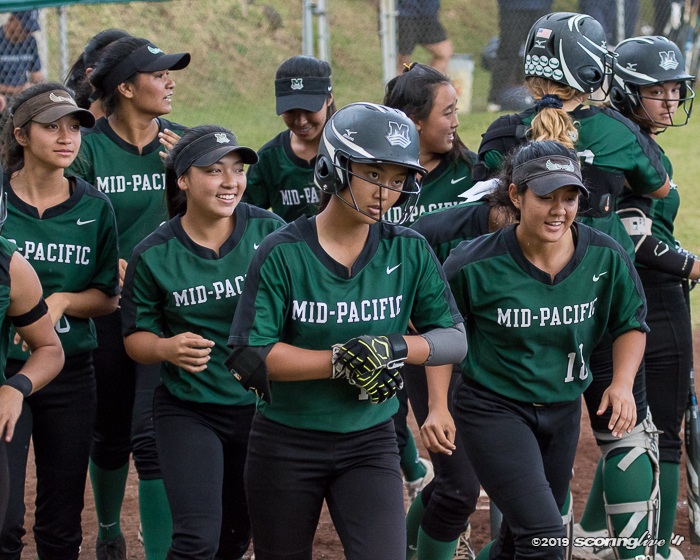 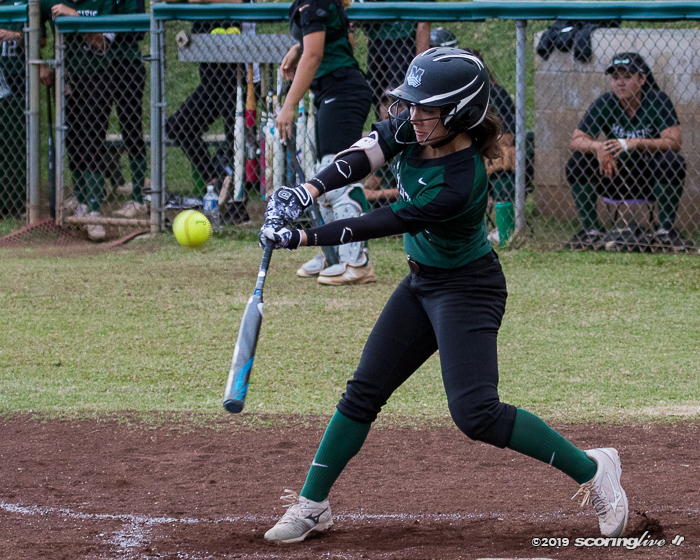 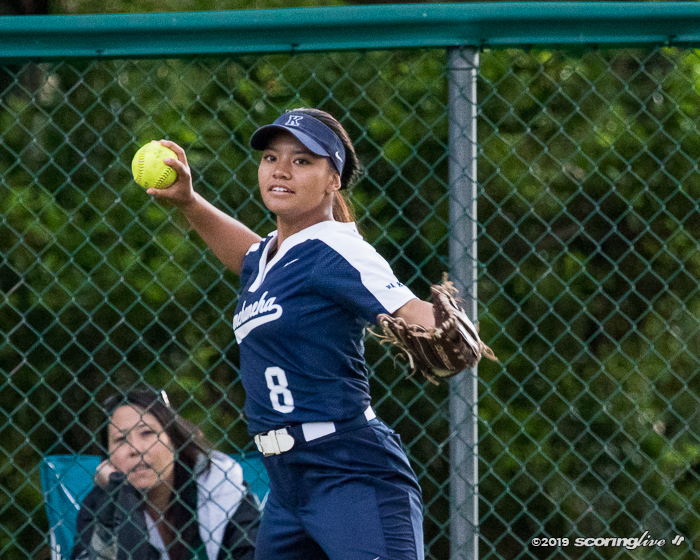 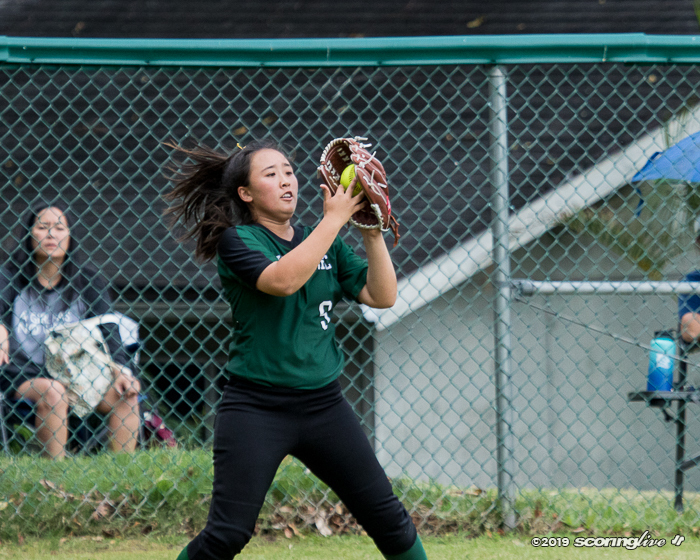 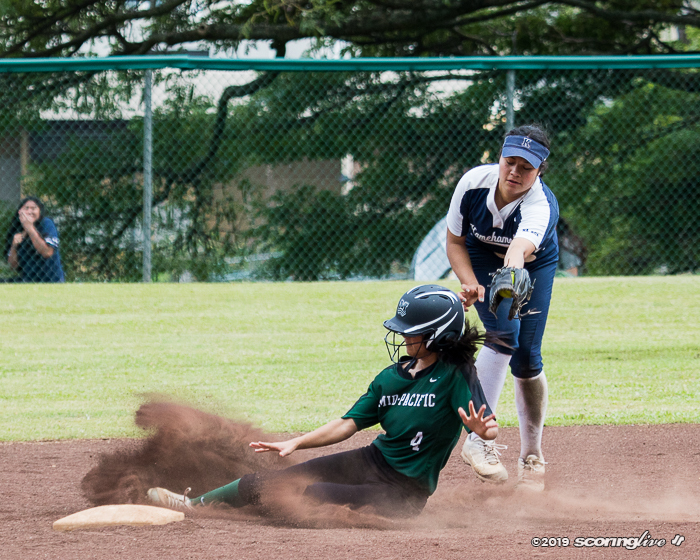 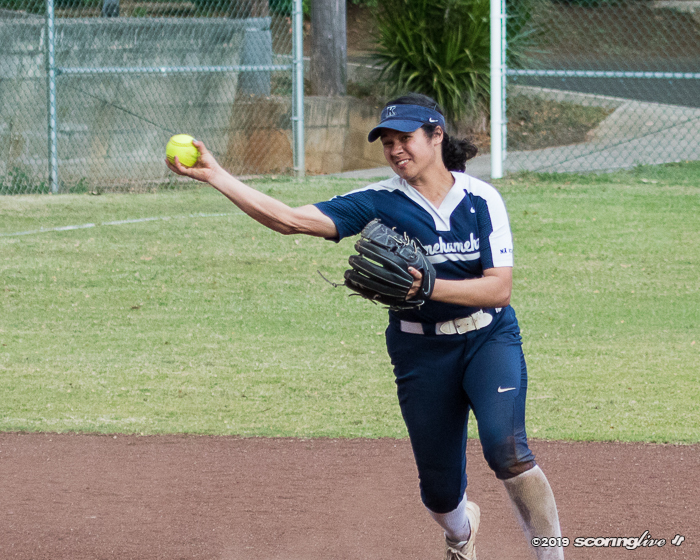 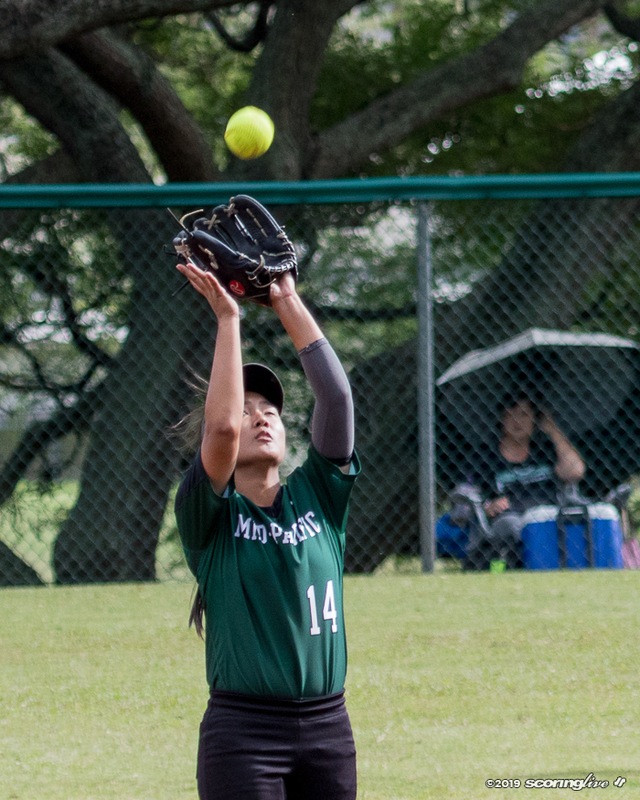 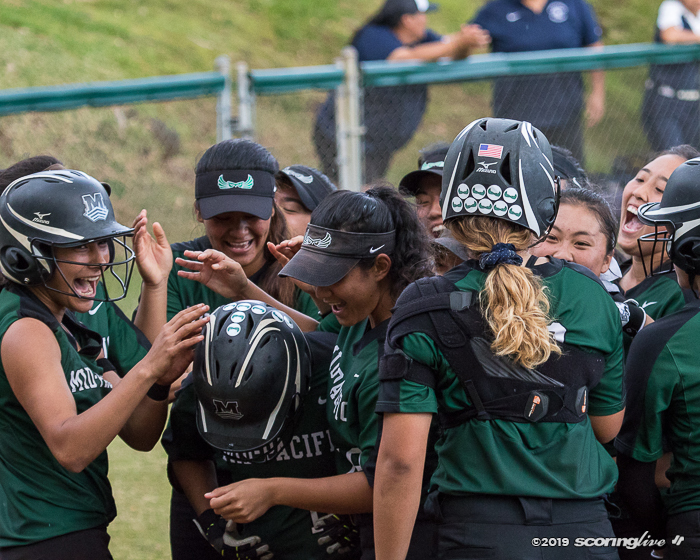 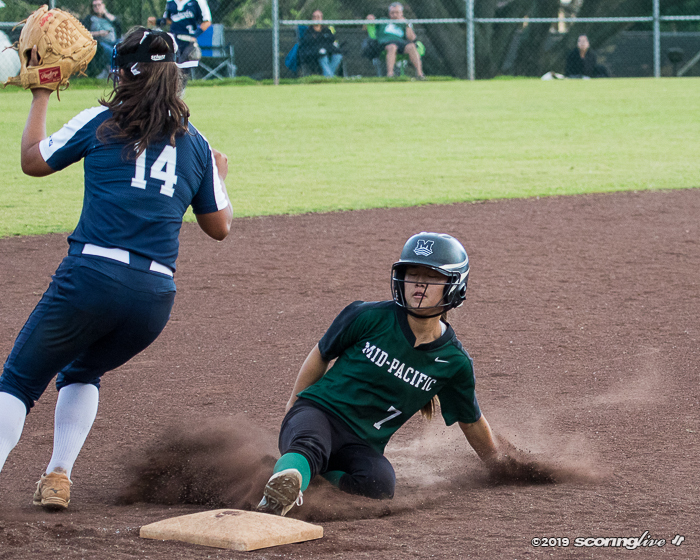 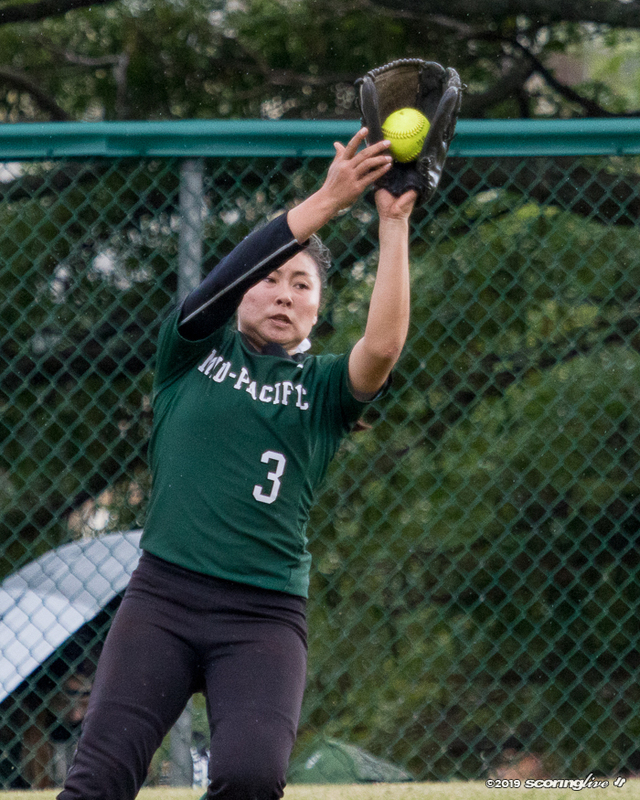 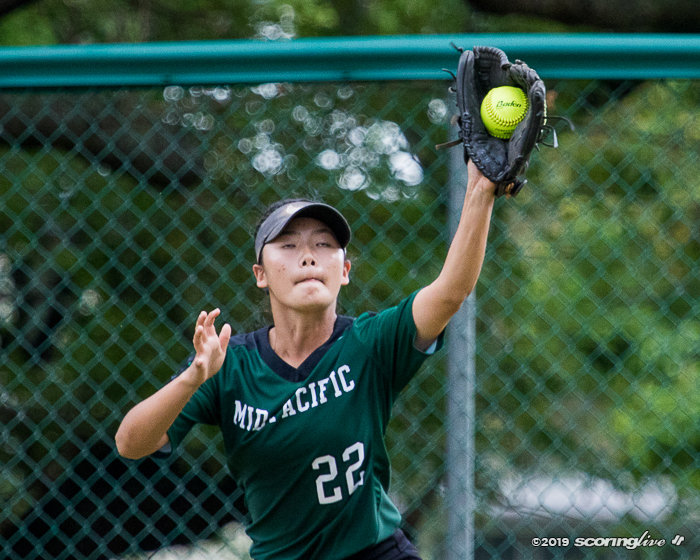 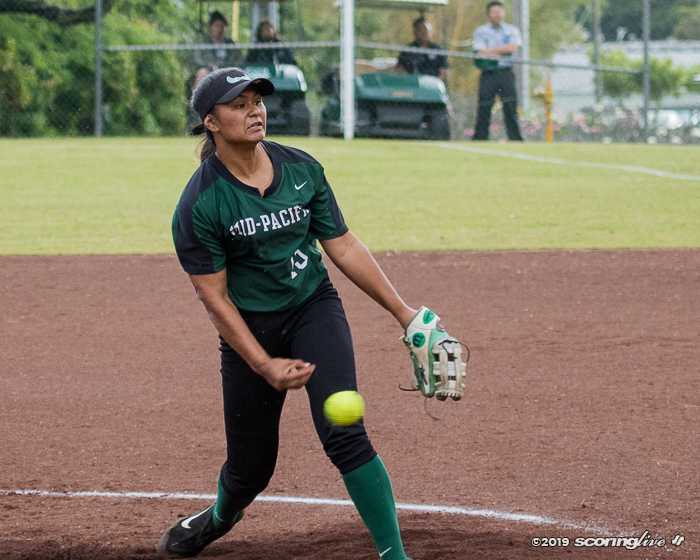 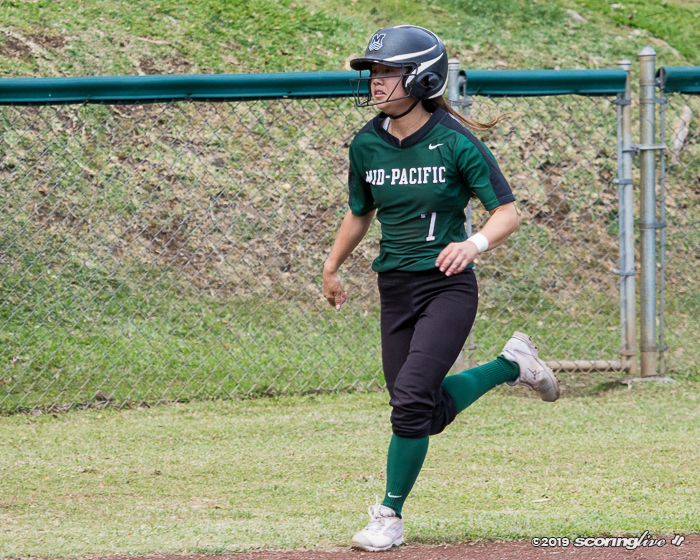 Mahea Perkins, Zoe Oshiro, Keao Takemura and Alyssa Nakagawa all hit dingers for Mid-Pacific, who improved to 6-1 to take first place in the ILH Division I standings. 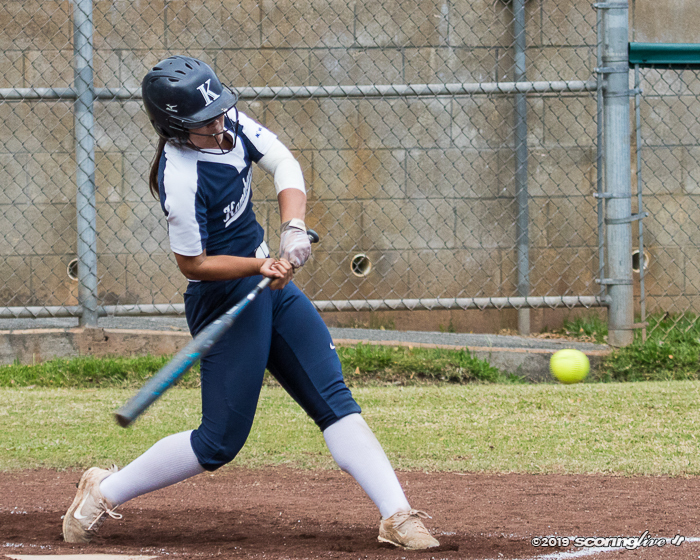 The Owls led 3-1 after the first two innings, but committed a series of errors in the top of the third that allowed the Warriors (3-4) to bat around the lineup to score nine unearned runs. 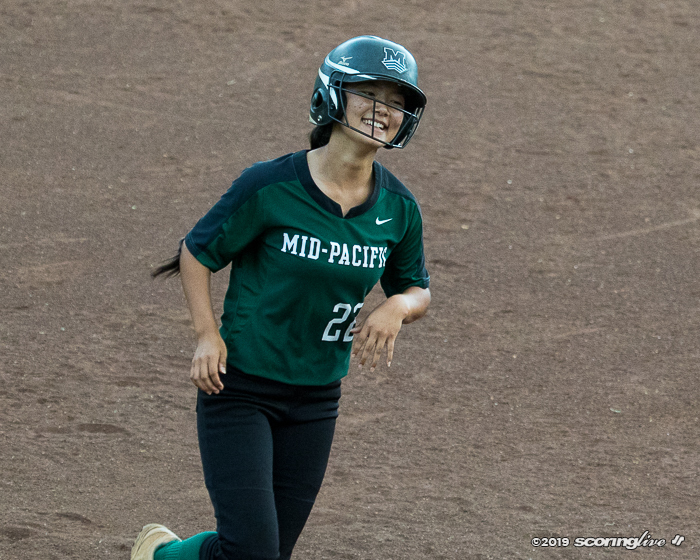 Mid-Pacific added three runs in the bottom of the fourth to stay alive before rattling seven runs in the fifth to take the lead. 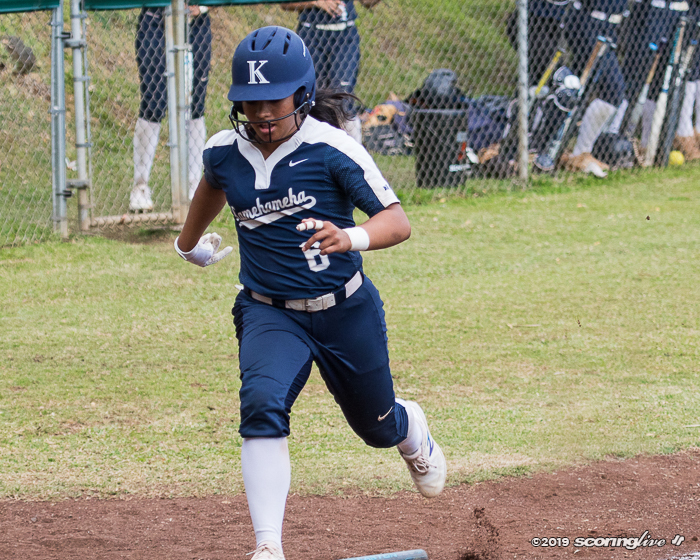 Nakagawa's two-run blast tied the game at 10 and Oshiro's bomb to left field gave the Owls a 12-10 lead two batters later. 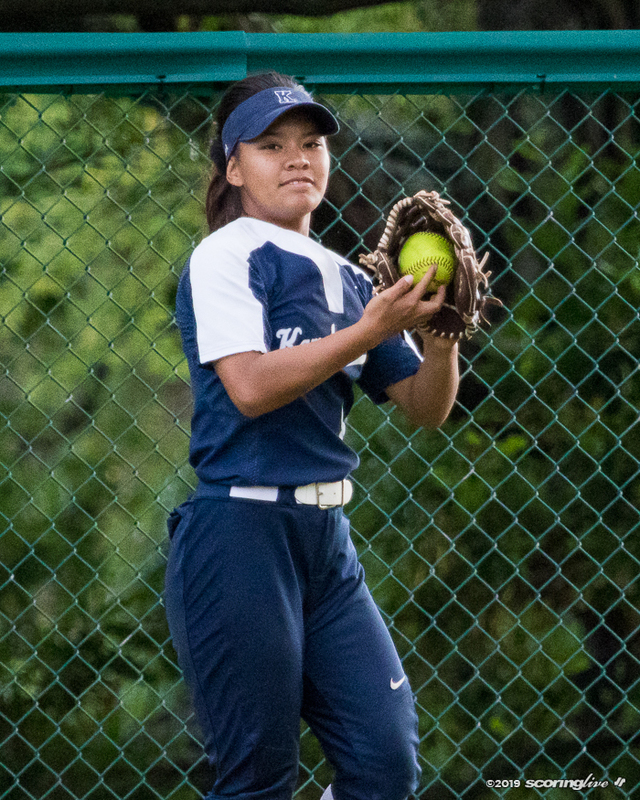 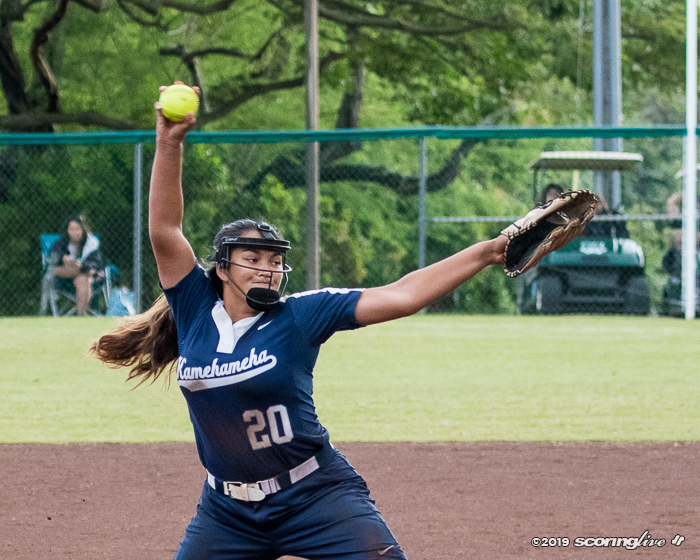 Lea Hanawahine was the game's winning pitcher after taking over for Darrian Kanno after the third inning. 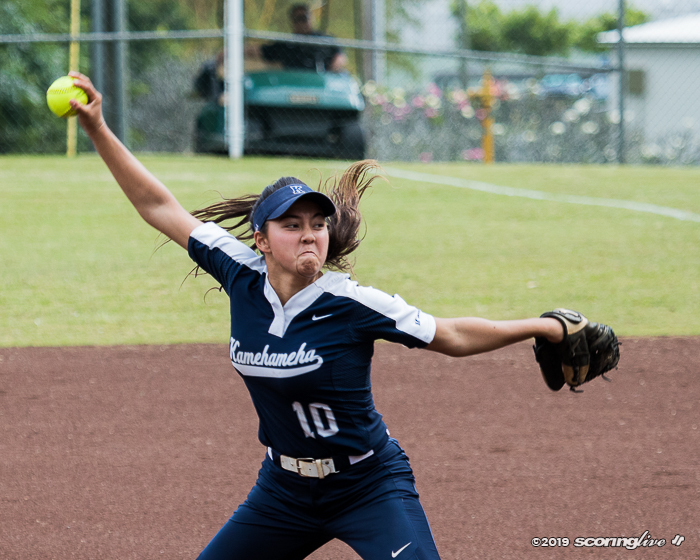 She allowed just one hit and one earned run in four innings of work while striking out three and walking five. 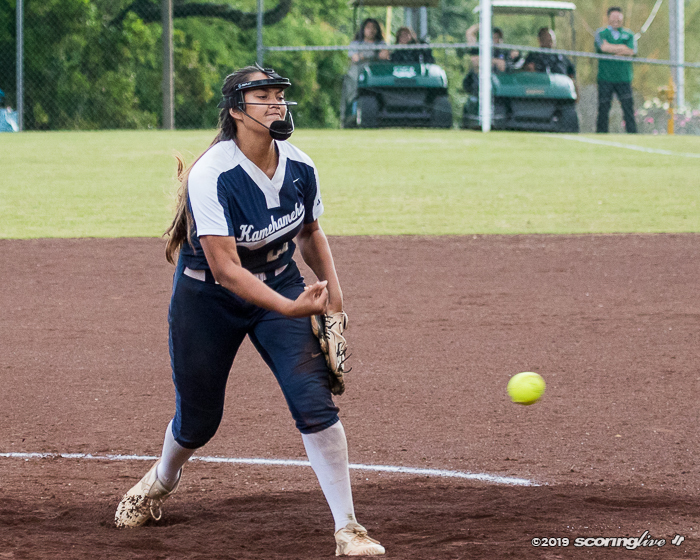 Designated player Lii Sulusi took the loss in the circle for the Warriors. 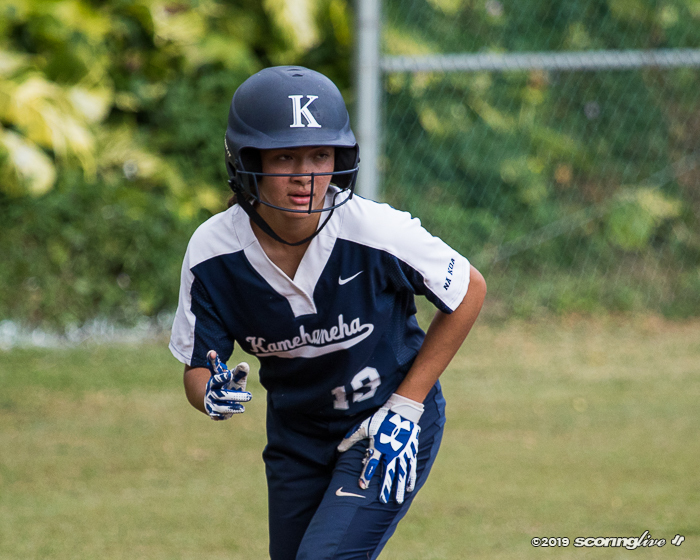 She replaced starter Momi Lyman at pitcher to start the fifth inning, but lasted just 2/3 innings before Kamehameha reinserted Lyman.